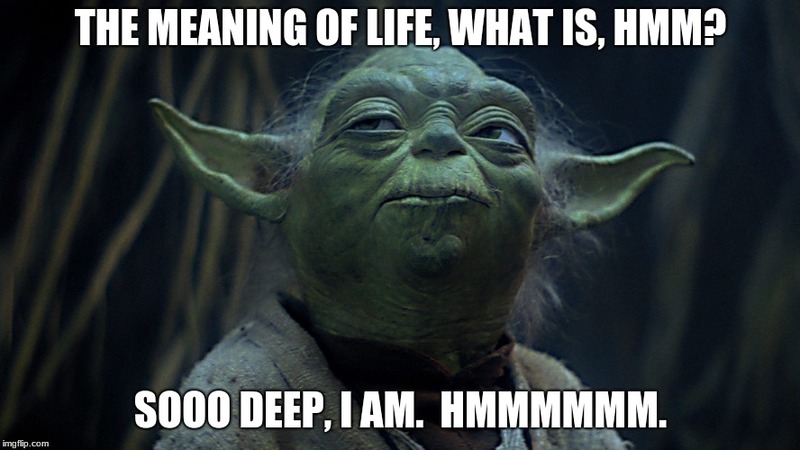 THE MEANING OF LIFE, WHAT IS, HMM? SOOO DEEP, I AM. HMMMMMM.